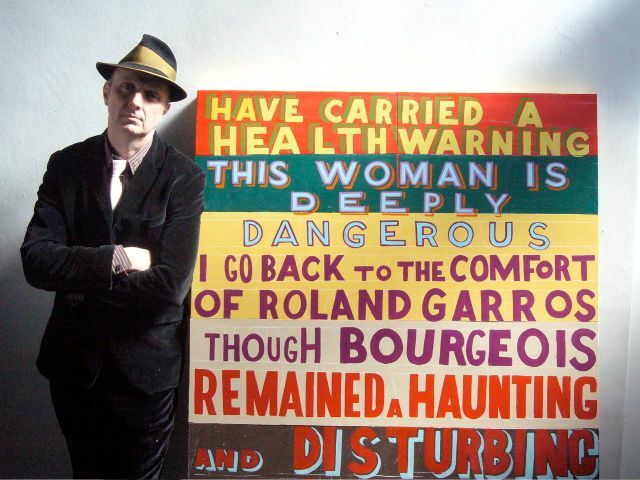 Bob and Roberta Smith will talk about his painting âThis Artist is Deeply Dangerous' with Guardian tennis correspondent Steve Bierley and Professor Andrew Patrizio, Director of Research Development at Edinburgh College of Art. The Grey Gallery acknowledges the generous support of Hawke & Hunter and Studio DuB. http://hawkeandhunter.co.uk http://www.studiodub.co.uk For further information please contact Susie Honeyman 00 44 (0) 7910 359 086 or email info@thegreygallery.com http://www.thegreygallery.com The Grey Gallery is participating in the 2009 Edinburgh Art Festival. The EAF is Scotland's largest celebration of visual art and runs this year from 5 August to 5 September. For further information on the Festival please visit www.edinburghartfestival.com, contact info@edinburghartfestival.com or telephone +44 (0) 782 533 6782.